Living in Gulf Harbour and looking for self storage? We can help. Gateway Self Storage is located at the foot of the Silverdale Hill convenient for the residents of Orewa and Whangaparaoa. Look out for our building and roof signage which is visible beside the Silverdale hill on the Hibiscus Coast Highway. Our facility has easy access from the main road, and there is good turning space in our yard for vehicles and removal trucks to manoeuvre on your moving day. 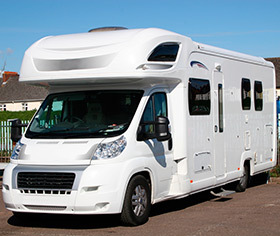 If you are looking for boat storage, trailer, car or motorhome storage, our secure storage yard is ideal. There is also a hire shop within 2 minutes of our site if you wish to hire a truck or trailer for your moving day, or you can take advantage of our own courtesy trailer free of charge (conditions apply). So, if it’s self storage services local to Gulf Harbour you’re after please contact us for further assistance.